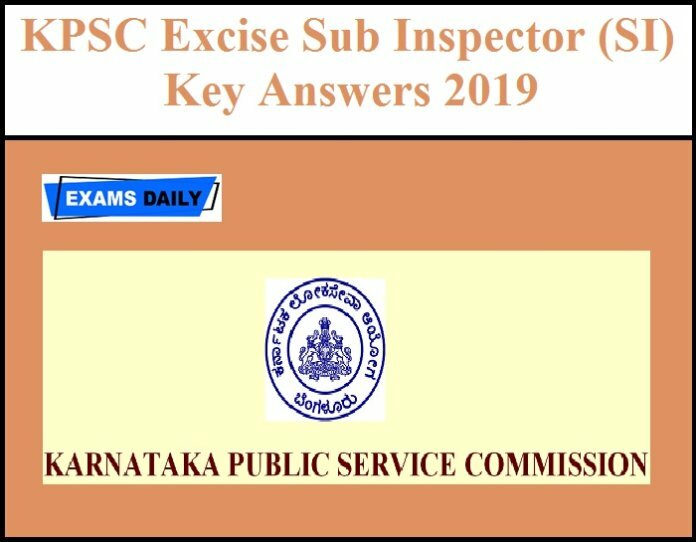 Karnataka Public service Commission (KPSC) has conducted Examination for the post of KPSC Excise Sub Inspector (SI) Key Answers 2019 on 17.02.2019. Candidates are anxiously waiting for KPSC Excise Sub Inspector (SI) Official Key Answers for the exam. We will update Karnataka Excise SI official Key Answers in this page once, KPSC releases it. Candidates can check this page regularly to download Excise Sub Inspector Key answers 2019.